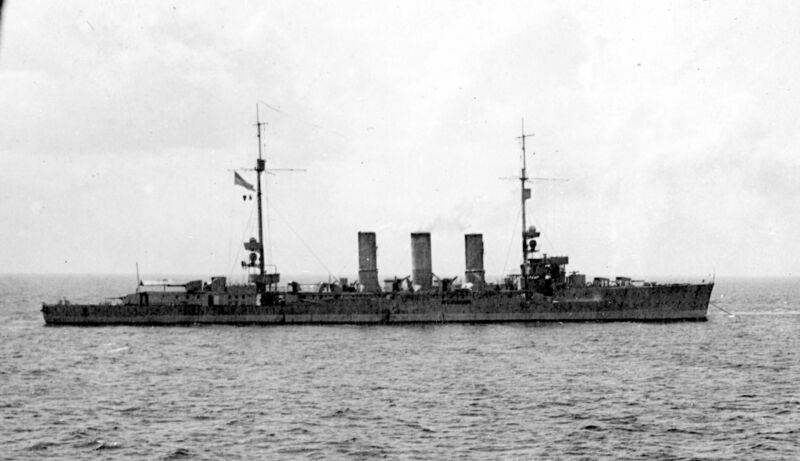 Armament 8 x 15cm SK L/45, 5 x 5.2cm L/44, 4 x 50cm tt, 120 mines. 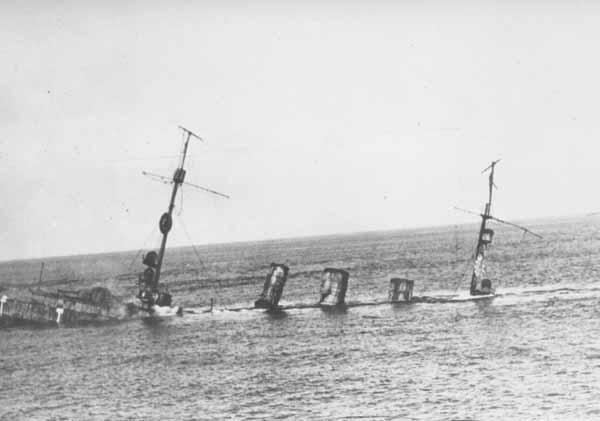 Speed, 27.5 Knots, Crew 474. 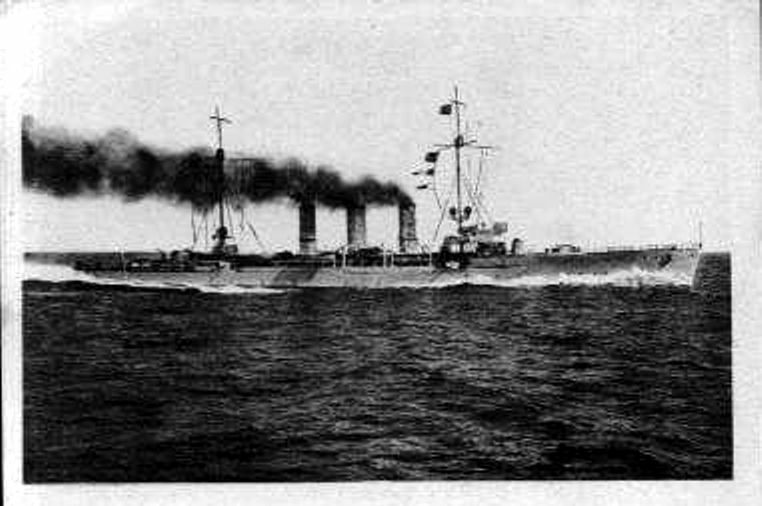 Photograph taken from the Tender of HMS Canning, one of the guard ships at Scapa Flow, sometime after 6th December 1918 when SMS Dresden arrived but before 9th January when SMS Baden was the last to arrive. 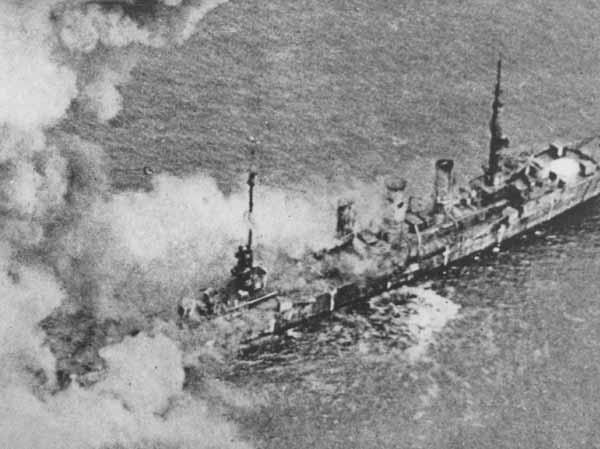 From the collection of Norman Wilfred Knight. 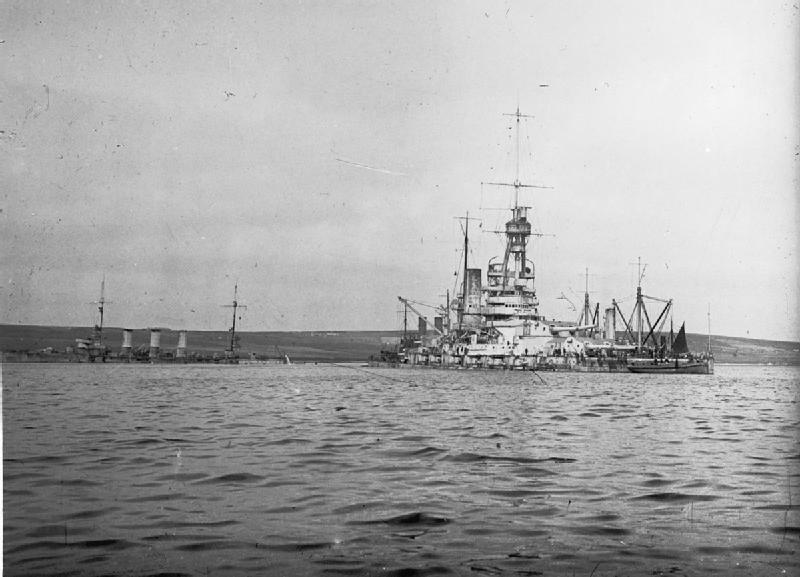 Scuttling of the German Fleet at Scapa Flow: Salvage work in progress on the German battleship Baden at Scapa Flow. 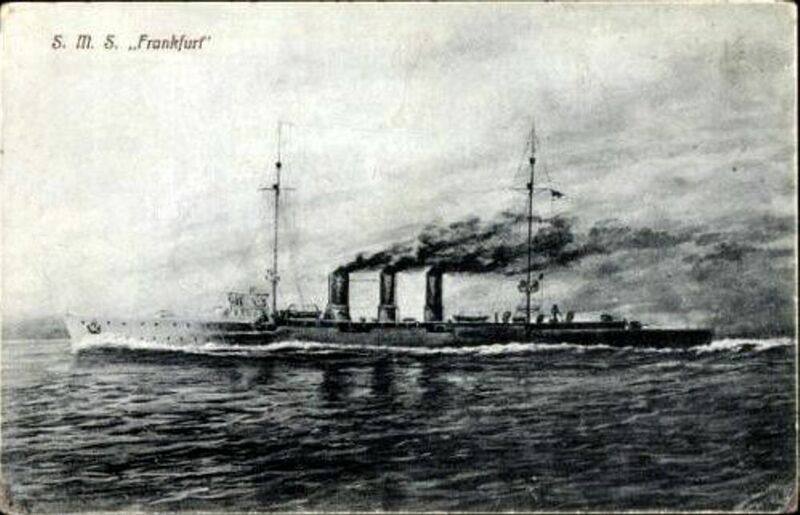 The cruiser Frankfurt is also in view (left). 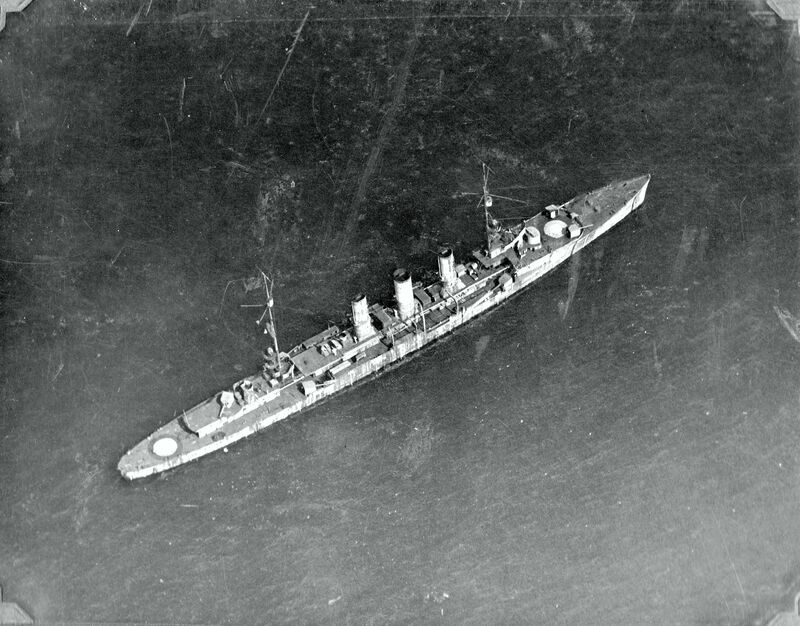 Frankfurt at anchor prior to being used as a target. 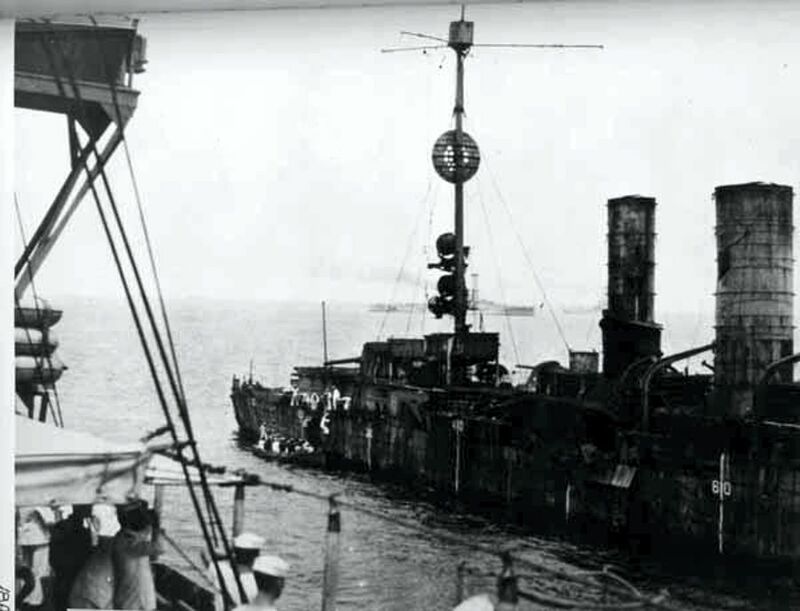 German Warships off the Virginia Capes in mid-July 1921 for U.S. aerial bombing experiments. 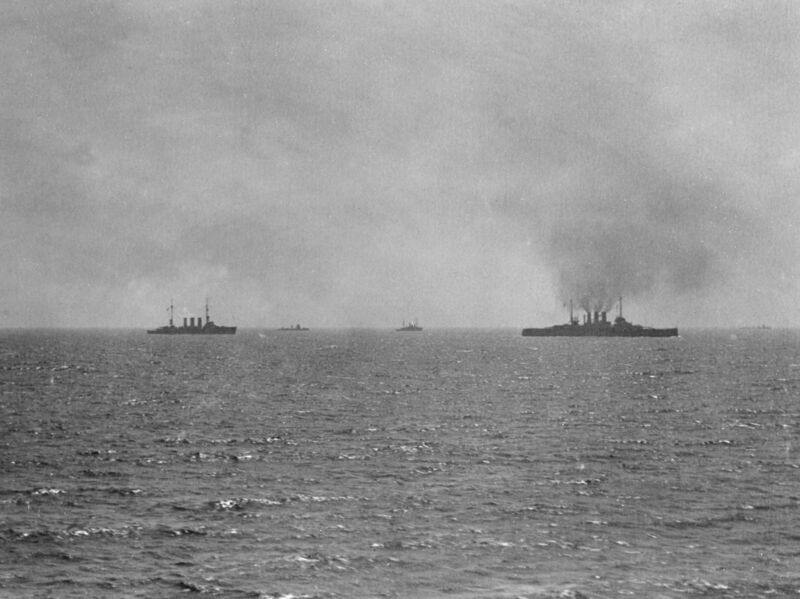 L-R: German cruiser Frankfurt, sunk on 18 July 1921, a German destroyer, possibly S-132, a U.S. Navy Lapwing-class minesweeper, the battleship Ostfriesland, and an unidentified vessel, possibly the German destroyer V-43, sunk 15 July 1921. 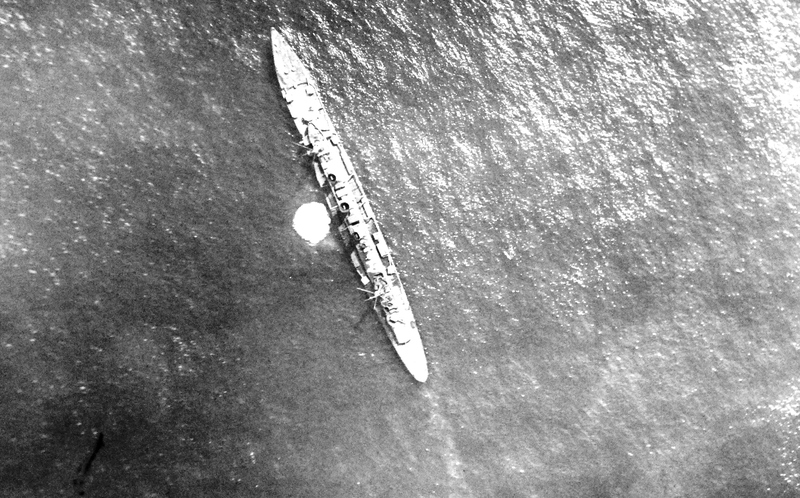 Aerial view of target ship Frankfurt during bombing tests conducted by Army and Navy aircraft off the Virginia Capes during July 1921. 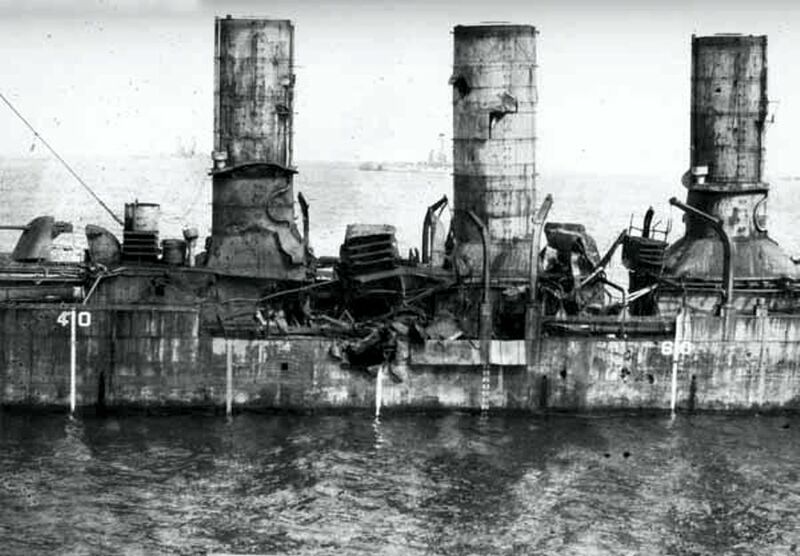 She was bombed with 250, 300, 320, and 600-pound bombs and sunk on 18 July 1921. 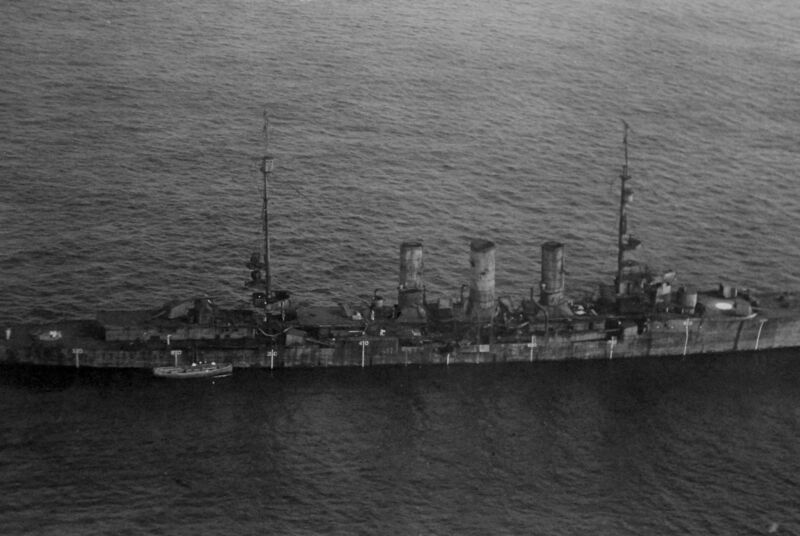 Note the targets painted on her forecastle and fantail. 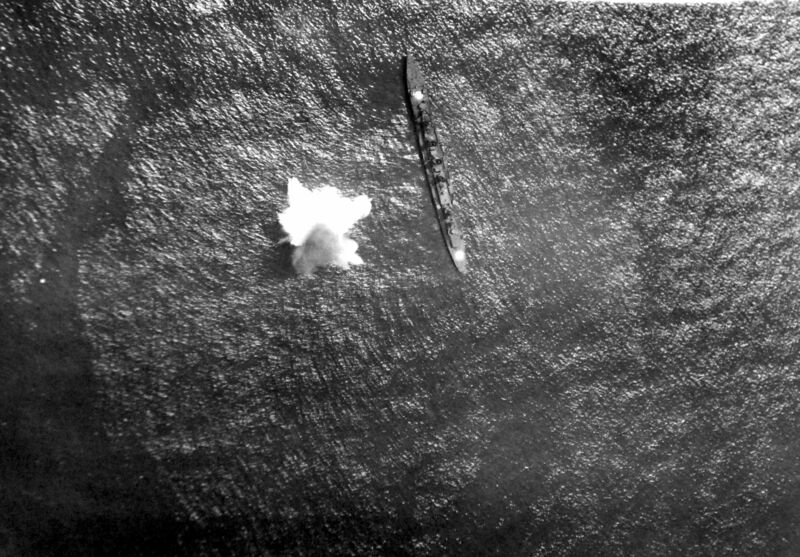 This image shows an exploding bomb port mid-ship, about 10:01 a.m., dropped by U.S. Navy F5L. 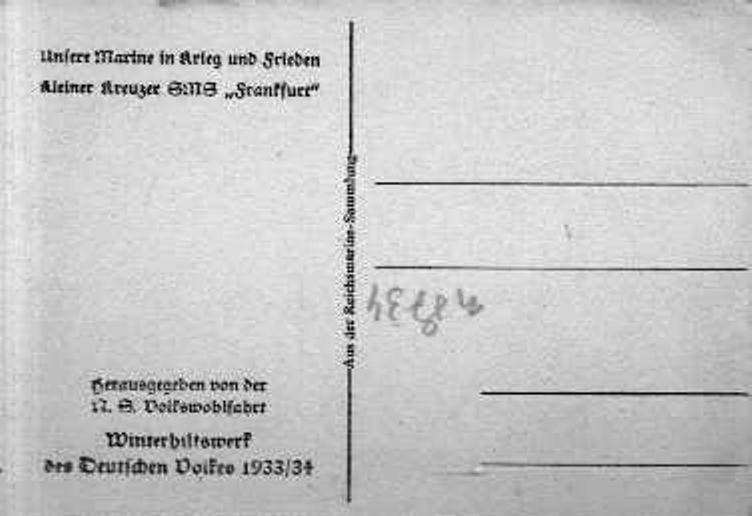 Part of the William Mitchell papers, transferred in 1953. (8/21/2015). 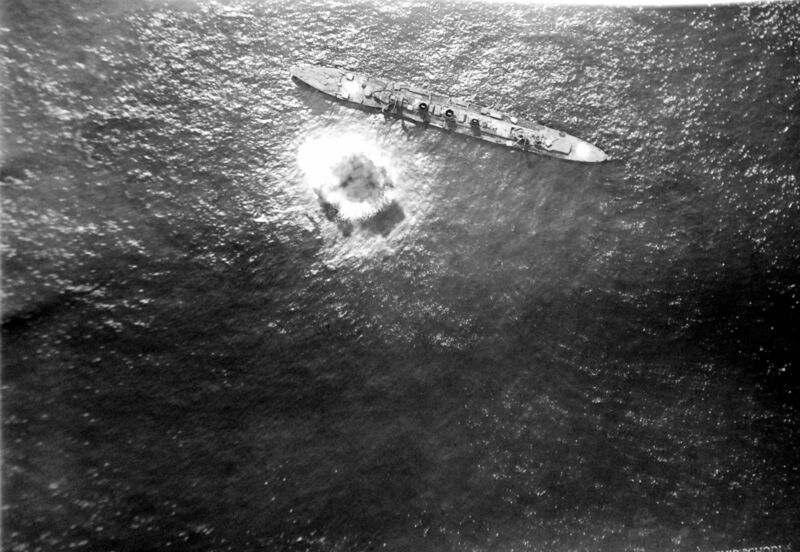 This image shows an exploding bomb by the starboard bow, about 10:17 a.m., dropped by U.S. Army aircraft. 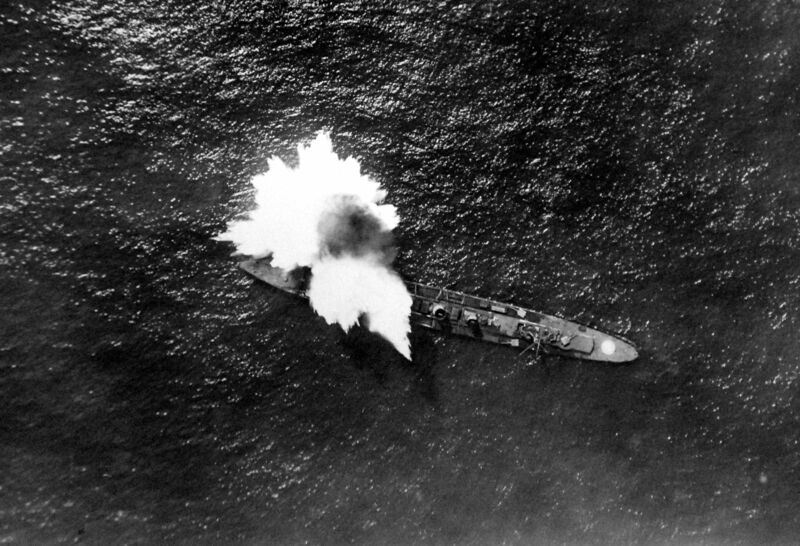 This image shows an exploding bomb by the starboard bow, about 10:28 a.m., dropped by U.S. Army aircraft. 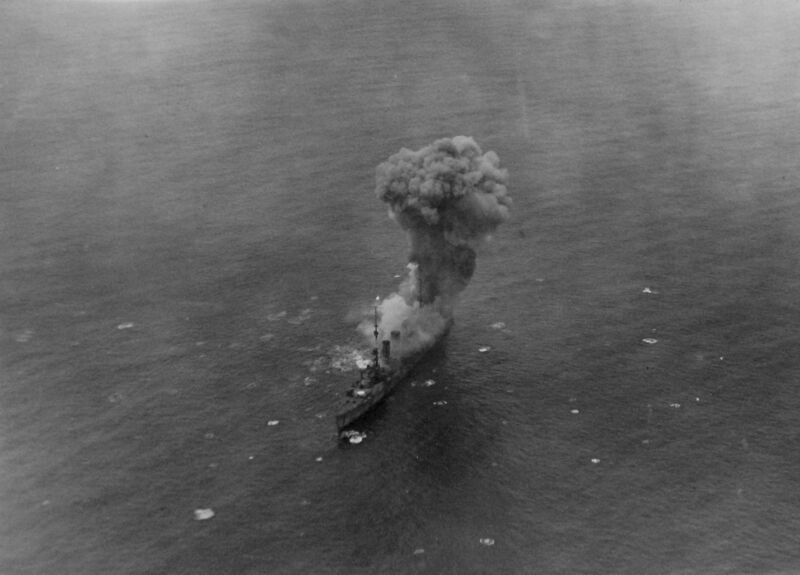 This image shows an exploding bomb on aft of ship, about 11:56 a.m., dropped by U.S. Army aircraft. 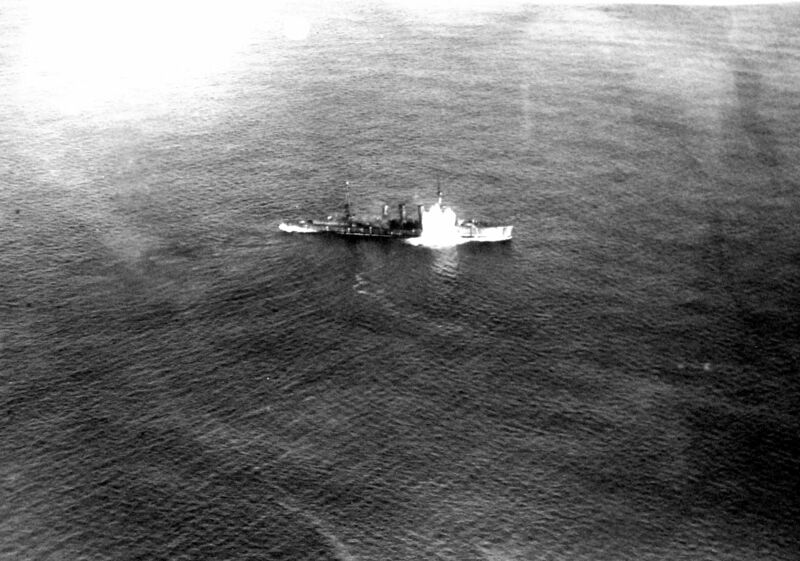 This image shows an exploding bomb at port, about 10:40 a.m., dropped by U.S. Army aircraft. 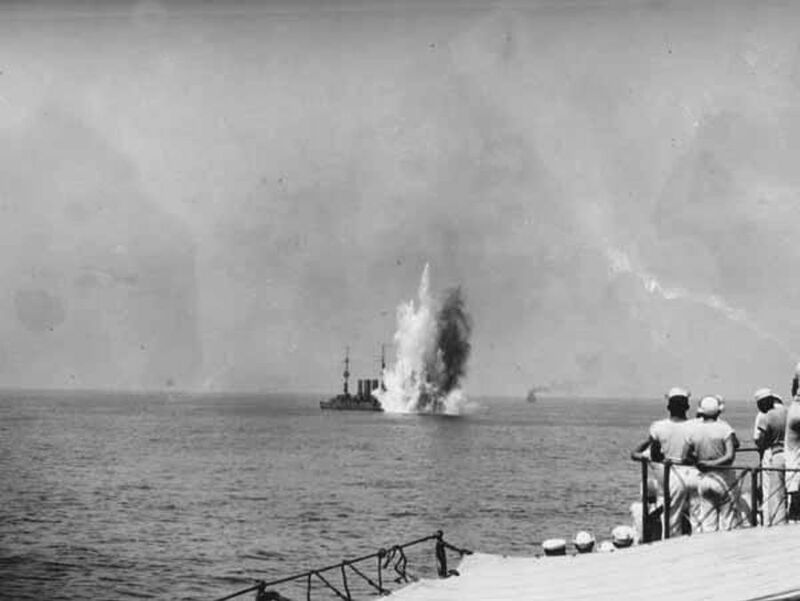 This image shows U.S. Army bomb explosions on the port bow, 16:23.